﻿Truck Site | Used Truck & Equipment Dealer Testimonials | Learn More! "Alex, I just want to say thank you for working with us so diligently on our recent purchase. We bought a Peterbilt 320 with an Amrep body sideloader from you maybe 2-3 weeks ago. We ran it the 2 days after delivery and it has worked out very well for us. It packs well, has a good arm, and beautiful paint job. We were excited to see a good, clean product ready to use right away for such a reasonable price. Varner Bros., Inc. looks forward to doing business with you again someday and have passed along the good word to fellow haulers in town. Please pass along the thanks to whomever appropriate (Roman was very helpful as well)." "Mike, thanks for providing our Ford F550 Bucket Truck. We appreciated the fact that you went the extra mile with the oil leak and looked after it. Hope you had a great time at your anniversary trip to the coast. Say hello to your wife, she did great on the phone as well. We are enjoying the use of the truck. God bless." "Alex, machine made it safe and sound, just a sincere Thank You for a pleasant and professional transaction. I will be watching your web site, you never know, I may be back. Take Care, Hope you have a great Christmas and New Year, Sincerely, Joe"
"Buying a used truck from Truck Site was a very good experience. The truck was in very good condition and the sales rep. was easy to work with. Everything went smooth and I would feel confident purchasing from them again." "I am a small business owner. I called looking for a small waste truck and spoke with Alex. He was fantastic and very knowledgeable on what inventory he had available. He kept in constant communication with me and made the purchase of our Peterbilt 320 easy and efficient! Whether it was a phone call or an email, Alex was there to help us along. When the truck arrived the a/c was not working correctly and Alex made sure it was repaired immediately. We at Trash Eaters LLC are grateful for Alex and all if the people at Truck Site! Thank You!" "Roman was great, we got a great deal on a new fire engine for our department. The staff was friendly and helpful, we will be purchasing more equipment in the future. Thanks again." "Tim and all of the staff were great to work with. The whole acquisition was a great experience. The end result was a great value." "We could not be more impressed with the service we have received from Truck Site. The idea of buying a truck having only seen photos can be nerve-racking, especially for a company that maintains old-fashioned, face-to-face values. However, from the beginning Roman kept the deal professional and personal. He was available to answer questions, provide information and assist at every turn. When we arrived to pick up our two garbage trucks we were impressed with the way the deal was handled from beginning to end. Service after the sale has also been tremendous and questions we have had about DPF units and DPF charging stations have been met with the utmost in customer care from Truck Site. We would recommend Roman and Truck Site to anyone in any industry for their equipment needs and will certainly be in contact with them again for trucks in the future. For selection, service, professionalism, and integrity go with Truck Site!" "I purchased a 1991 International truck from Roman on 2/21/16. The service and sales staff were very professional. We would recommend Truck Site to our friends. Thanks for all of your help and look forward to doing more business in the future." 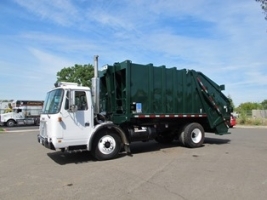 "I purchased a 2007 Peterbilt Labrie garbage truck from Truck Site. After two full months of using the truck on a daily route I can say I am 100% satisfied with the purchase. I will be a returning customer even considering the 2000 mile drive back home. I have never worked with a used truck dealer that is 100% honest and up front about the trucks condition. What you see online is what you get, no touch ups/cover ups." "Alex, I would like to take a minute to thank you and Roman for your assistance and patience during our recent acquisition of the 25 passenger bus. Your efforts and knowledge were invaluable in helping me get all my bosses questions answered. 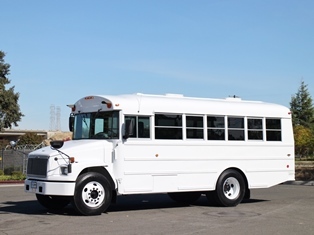 The Bus is just as advertised on your web site and I can’t wait to get it running with our fleet. Thank you and I hope to do business with you again in the future." "Truck Site stands behind there products. I highly recommend Truck Site for your equipment needs. The staff are responsive and professional. I have purchased many pieces of equipment from them and I am very happy. Truck Site bends over backwards for their customers. Even after the sale!!!" "The most reliable and trust worthy equipment dealers out here, Alex handled our purchase and made it easy for us. Here's the kicker, after we received the sweeper truck the rear engine needed to be rebuilt and they took it back and had it rebuilt no questions asked. Now we have an amazing truck that will work for years." 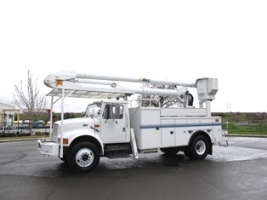 "Alex, thank you for making the purchase of our bucket truck the best truck buying experience ever. I was nervous to purchase a truck sight unseen, from another state; but I could not be happier with the experience. I appreciate the upfront pricing, accurate photos and video. Thank you for taking the time to answer my questions and not rushing me just to make a sale. The truck arrived on time and met every expectation. You exceeded expectations by being there after the sale. I know I purchased a used vehicle, but when something was not just right, you make it right, and quickly. Thank you! When the need arises for another vehicle I will not think twice about calling you." Kelly O'Brien | BUILDER'S ELECTRIC, INC.
"Alex, I would like to thank you and the Truck Site team for delivering the 10 wheel dump truck in “ready to go to work condition”! The safety warning labels were in place as you promised, fire extinguisher and triangle reflectors nicely mounted, PTO and tailgate switches have the safety covers in place, even the wood on top of the dump box is new. Everything is in perfect working order and I see no problem with this truck passing a DOT inspection. The truck runs excellent and I believe we here at Silicon Valley Clean Water made a good choice in working with you guys. I appreciate your hard work and patience working with us, finding the “right fit” truck for our plant. Now you just need to find us another truck to match this one! I look forward to working with you guys in the future." "Dear Mr. Roman Korchevoy, by means of this letter we would like to thank you and all the people involved for your support in the process of purchasing the B-47 drill rig. This will definitely have a great impact on our company business. We deeply appreciate your trust in LAMSYCO Laboratorios as a foreign costumer and we hope to continue this business relation." "We purchased a truck from Truck Site and they delivered the truck cross country with no issues. Roman was a pleasure to deal with and a true professional. We will be using their services again and they are the first place we will go to for any of our truck needs. I have already recommended them to friends, and will continue to do so. The best part is their great service has continued after the sale. Great company! Great group of people!" Darius Farahani | WARREN'S NURSERY INC.
"We needed two automated garbage trucks and I contacted Truck Site. I talked to Tim and he was very helpful and had what we needed. The trucks have been excellent and we will be looking to Truck Site for future trucks. 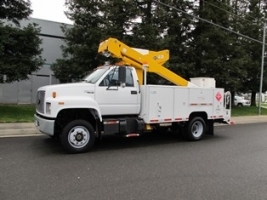 I would recommend Truck Site to anyone - their equipment and the staff are excellent." "Tim, our purchase of our roll back truck went very smooth. You answered any and all questions from all of us that called you. We weren't sure what we would be getting into dealing with a purchase on the internet, but could not have been more pleased. The pictures of the truck and the video you sent helped to ease our mind and also helped in our decision in going ahead with the purchase." 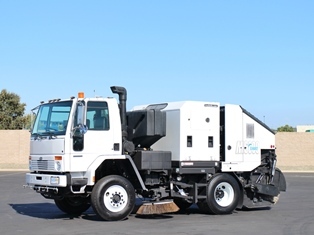 "As a follow up on the purchase of the Lay-Mor sweeper, the unit works absolutely perfect. I also want to thank you for the professional and courtesy service you provided from the start of the sale to delivery. Once again, it was a pleasure working with you and we will definitely purchase equipment from you in the future when the need arises." "I own a parking lot maintenance company in Central Illinois and was skeptical at first using a company that was so far away. I took the time to fly out and meet with Alex Molitvenik and tour their facility. Alex made me feel like part of the family immediately and their facility from front desk to their maintenance bays is top notch. I ended up purchasing the equipment I had looked at, no small purchase. After a few uses I had a maintenance issue with a hydraulic oil cooler (no fault of Truck Site as there was no way of knowing it was going to happen). I met with a few companies here and learned it was not repairable and was unable to locate a part number to purchase a new one. I called Alex hoping he could get me in touch with a company to purchase the part. He did one better and shipped a new one overnight at no charge to me. Alex and Truck Site didn't have to do this, I bought the unit with no warranty and didn't expect it. Truck Site isn't a one time buy and never hear from them again, I'll be purchasing all of my equipment through them in the future. If you're looking to buy equipment and want a company with values and customer first attitude, use Truck Site!" 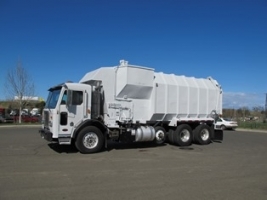 "Over the past four months, we have purchased five used Crane Carrier garbage trucks from Tim and Mike at Truck Site. We have purchased many vehicles from different companies over the past 30 years and the guys and equipment at Truck Site have been among the best. We would highly recommend their dealership and we look forward to making another purchase soon." 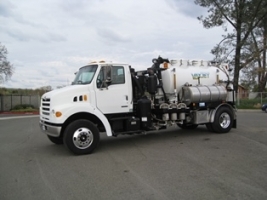 Brian S. Negley | EMADCO DISPOSAL SERVICE, INC.
"Thank you for a great truck with excellent support after our purchase. We will be back to see you for our next truck purchase. We love our bucket truck, it gets used every day. We don't know how we did without it." Michael A Buckley | CONEJO UNIFIED SCHOOL DIST. "My name is Anji Walters I dealt with Roman at Truck Site, he was very professional and kind. 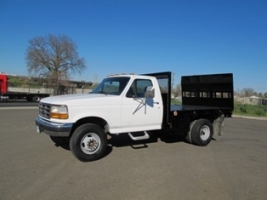 We made a good deal on this 1998 Ford LT9000 and now I am taking it home to the Virgin Islands." 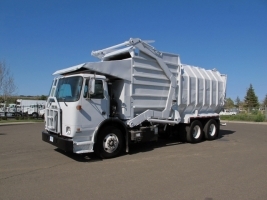 "Range Disposal is a family run business since 1976 in Central Minnesota. We have bought many trucks over the years and to save overhead and provide the best pricing to our customers we try to buy good used trucks. From the moment I contacted Alex I had nothing but an excellent experience - he and his whole staff are very knowledgeable and are the best at what they do. I soon flew out to as they say kick the tires on two units they had in stock that I was interested in. I was given as much time as needed to go over both units and made a checklist which Alex went through in detail with me, right down to providing our signature color on the Packers through a source he had. A lunch hour later and we bought both units. Right through the delivery dates Alex was on top of everything even helping me with a few parts I needed for another unit I had in my fleet. 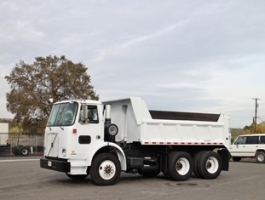 If you're looking for the best experience in buying used refuse trucks in my opinion Truck Site is at the top of the list." "We bought our first sweeper from Roman great price and excellent customer service. We will definitely continue to purchase our equipment from Roman." "Highly recommend Truck Site. I made a purchased, construction sweeper truck, the truck had some issues and Roman send me his mechanic, all the way to Florida, he solved the problem right away. Now the truck is running perfect. The mechanic very professional. That's the kind of customer service people need. One more time, thanks Roman and your staff, and for sure I'll call you for my next purchase. THANKS, Regards from Florida"
"Alex and crew went out of their way for us and really came through. We shipped our sweeper to WA State from Sacramento, and they helped pay for the offloading since we could not get an off loading dock close enough. Great to work with and a lot of integrity!" "I just want to thank you for all your help and professional service you provided during my recent truck purchase. This was the first time buying a truck of this nature and I had to export to Canada. Your help in getting all the proper documents put together was much appreciated. I will be sure to use you again and recommend you to others." Cody Cuthill | NORMTEK ENVIRONMENTAL SERVICES LTD.
"I just wanted to reach out and let you know I am very happy with my recent purchase of the 2001 Ford F350 Flatbed Dump Truck; also Alex Molitvenik was very helpful and really left an impression on me, so much that he is helping me get another truck! Good job guys." 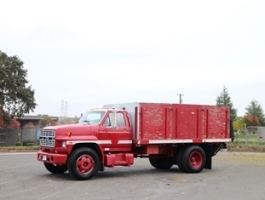 "After extensive searching I found a truck at Truck Site that matched my needs. After deciding to buy the truck, the whole process was actually easier than some local deals I have made. The condition of the truck is outstanding! At 15+ years old it is in a condition that one would expect of a 1 to 2 year old unit. I am very pleased with the deal. 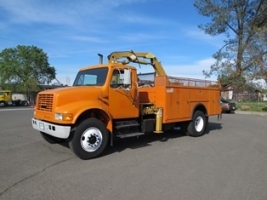 A search for any equipment I may need in the future will start at trucksite.com"
"Thank you for your help with our recent purchase. We are very pleased with the truck and how quickly the transaction was able to take place. I look forward to working with you again." Nick Rampp | FULL SPECTRUM LANDSCAPING CO.
"Alex, I have intended to write this for over a year now since we purchased our step van from you guys. The level of customer service I received while working with you made me feel valued and you treated me the way women who are in business should be treated. I want to say THANK YOU a million times over the incredible level of customer service your provided during this process. From negotiating a deal that worked for both of us to ensuring that the truck was in the best possible condition before I drove it 700 miles off your lot. Thank you for taking care of me while I was in Sacramento when there were a few more kinks to be worked out with the step van. Providing an UBER to get me around and a place for me to stay. It made the experience that much better and we will continue to seek you out when we are in the market for more vehicles for our business. Thank you again, I cannot recommend you and your team any higher!" Hi Alex, I was looking for dump trucks, Alex showed me what I was looking. He helped me get the trucks at a good price and worked with me on paying for them. Thank you Alex"
"I was very impressed with the Truck Site operation, I viewed the truck in its before and after state of reconditioning and it was all it was represented to be. Service from them has been great as they have addressed and answered any questions or concerns I had. This is why we are purchasing another vehicle from them without any reservations." “Roman, it’s been a pleasure working with you. We have been very satisfied with both the compressor and sweeper. Both units are everything you said they were. I was a little skeptical at first without seeing them in person, but you were very honest about the condition of the equipment. I will always contact you first before purchasing used equipment in the future. Would refer anyone to you." "Thank you, Roman. I'm sure you realized how apprehensive we were with our first Internet purchase. You and everyone else at Truck Site were very knowledgeable, helpful, and easy to deal with. Your team was also helpful a couple of months later when we were having trouble with our local tax office. Thanks again and we will look to Truck Site the next time we are in need of equipment and we would recommend you to our friends." "Roman, on behalf of Clearwater Inspection Services Ltd, I would like to thank you for all your help and assistance in completing our recent sale. As first time equipment purchasers in the United States, it has been a pleasure to have worked with someone as dedicated and helpful as you have been. Your assistance not only in the sale of the vehicle but also in providing the necessary paperwork enabling us to bring this vehicle back to Canada is greatly appreciated. Our corporation will be looking forward to doing business with you and Truck Site in the future." "Thank you and your management for your professionalism and honesty. I will remember Truck Site and how well you treated us. I will always consider Truck Site first for all my future purchases. Once again thank you, I am highly impressed." "We purchased front loader trucks and a sweeper. The transactions went smoothly and they were priced right. Truck Site employees were very friendly and knowledgeable. 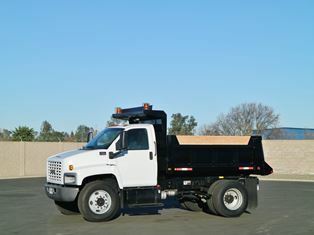 We plan on using Truck Site in the future when we need to purchase more equipment." "Roman and his staff are tops in customer service! I got a nice clean truck delivered to my door within 3 days of purchase as described. 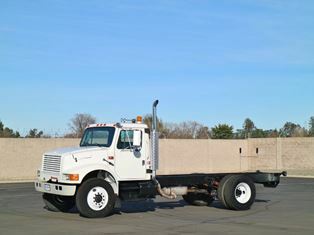 It’s hard to find trucks like this in good clean condition, but Truck-Site has them. Honest and trustworthy, also very patient in answering all your questions, not pushy or make you feel like your bothering them, they go the extra mile!" "Working with Alex was great! They were very responsive and worked with us to make the purchase happened. I was amazed when he told me the truck would be at my door in a week all the way across the country. Definitely will look at Truck Site for my next truck purchase before anywhere else." "This is my second time doing business with Truck Site. My first time was purchasing a wood chipper, and after that experience with Alex Molitvenik I came back a second time! He truly cared that I got a good piece of equipment and called weeks after to make sure all was good. The crew at Truck Site does a great job in paying attention to detail; quality, quality, quality! I will be back a third time. Thanks again Alex!" "On behalf of Red Hawk Fire & Security, I want to thank Truck Site for their time & help with the purchasing (and delivery) of our fire truck. It was a great & easy experience from start to finish. Tim was a great help throughout the whole process. I would definitely recommend them and use their services in the future." "Thank you for being so helpful while I was there. Your staff was pleasant to deal with as well and overall I rate my experience with Truck Site as Great!" "I really appreciate the way your company took care of us. I WILL come back to you now that I know that we are working with a GREAT company with customer service as their number one priority. Thank you so much." Glenn K Roehl | SUNQUEST SOLAR INC.
"Alex muchas grasias por abermedado la oportunidad Ola ledoy las grasias ala compania trucksite por aberme a lludado a conseguir lapicap que andaba buscondo fasil de comprar con este diler barata y en muy buenas condisiones muy amables todas las personas k trate comprensiblea y amable recomiendo k tratende comprar selos rrecomiendo tienen trocas de ciudes degovierno en muybuenas condisiomes muy cuydadas ecxelentes condisione noye arrepentiras"
“I was looking for a specific truck for work, and I am very grateful with Truck Site for helping me find it. My experience with this company was good. The purchase transaction was easy, the price was low and the truck was in very good conditions. The people that I worked with were kind and considerate. And they have a good selection of government trucks in excellent conditions. I want to encourage those who are looking for trucks to buy them from this company. You won’t regret it. Barbara Kestner | B & J SWEEPING & SONS, INC. The Comptche Volunteer Fire Department extends its deepest gratitude to you and all employees of Truck Site who had a hand in preparing our new engine. The customer service we have received throughout our interactions with you and Truck Site has been excellent. The work that was done on the engine is of good quality and we appreciate the degree to which Truck Site accounted for our concerns. The employees of Truck Site have left the impression of a well-organized company that is great to do business with. The engine is going to be a huge benefit and resource for our small department and community. On behalf of the Comptche Volunteer Fire Department." 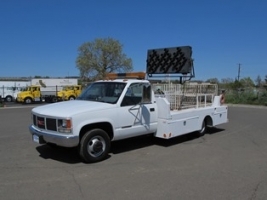 "Truck Site: We truly appreciate all your help with our recent purchase of our vaccon truck. Alex Molitvenik is an awesome salesperson, from helping us find and select the right truck with all the specifics we needed to providing the financial part of the sale as well. He is never too busy to answer whatever question or concern we may have. We are very pleased with the truck and the condition it came in, including the delivery. Even though it is an older model, it is in great condition. 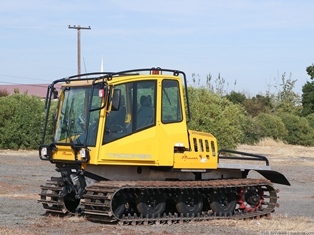 We definitely will recommend both your company and salesman to anyone interested in your type of equipment. Thanks again for all your help and patience in 'making it happen.'" "Alex was very responsive, helpful and made the purchase as smooth as it could be. I would highly recommend Truck Site for future purchases." Josh Twist | TNT INDUSTRIAL CONTRACTORS, INC.
"Hi Alex, everything was great with this deal, we feel the JLG we purchased was priced fairly and your service was also great. Your customer service was very friendly and we will definitely look at your site when we are in the market for other equipment. Thank you"
"First time dealing with the people at Truck Site and will DEFINITELY be back. Great folks to work with and was very satisfied with the communication and overall experience. Would definitely recommend Truck Site to my peers and colleagues." 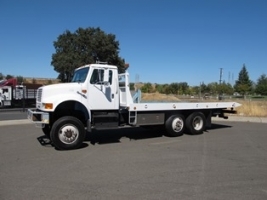 "Clearfork Disposal would like to thank Truck site for their friendly and honest sales. Alex has been a true pleasure to work with, and the transaction of purchase could not have gone smoother. The representation of the vehicle was honest, accurate, and very informative. I think one of the major selling points was the ability to watch this truck perform in the video. When I’m making a purchase thousands of miles away I can’t test drive it or hear the engine running, but your video made it as close to that as possible. We are very pleased with our truck and look forward to doing business in the future." 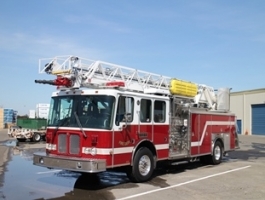 "As expected the purchase of a used fire engine from Truck Site was painless, even with unanticipated mechanical problems, Roman and his crew worked through the issues and delivered a reliable fire engine. With a little paint it turned out great. This is our second purchase from Truck Site, its always a pleasant feeling knowing that if a concern comes up the crew at Truck Site will get it right. Thank you Roman and crew for all your hard work." "I bought two trucks from Alex at Truck Site over the internet. Both were as nice as advertised and reasonably priced. I would and will buy from him and them again in the future. Thanks for your help Alex." "Наша компания "НоЭК" (New Energy company) приобрела в TRUCK SITE уже две буровых установки производства Altec, с доставкой в Санкт-Петербург, Россия. Здесь мы немного переделали их и установили их на шасси полноприводных грузовых автомобилей Урал-4320. Наша компания занимается строительством линий электропередач, и Ваша техника отлично зарекомендовала себя в работе, выполняя различные задачи (подъём грузов, бурение, установка опор линий электропередач), иногда в труднодоступных местах. Мы полностью довольны приобретённым у Вас оборудованием, оно надёжно и удобно в работе. Хотелось бы отметить высокий профессионализм сотрудников компании TRUCK SITE в решении всех вопросов, их помощь в таможенном оформлении доставки, индивидуальный подход к клиенту. Иметь дело с TRUCK SITE лекго и приятно. Хотелось бы поблагодарить компанию TRUCK SITE и лично Tim Vusik за их отличную работу!" 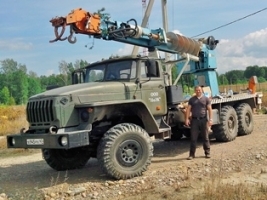 "Our company (LLC "New Energy Company"), purchased two Altec digger derricks from TRUCK SITE, which were shipped to St. Petersburg, Russia, where we have altered them a little and mounted them on all-wheel drive chassis Ural-4320. We deal with construction of power lines and your digger derricks proved to be excellent for the job performing various tasks (lifting a load, drilling, installing pylons) oftentimes in remote places. We are completely satisfied with the purchased equipment - it is safe and convenient to use. I would like to note the high professionalism of TRUCK SITE in all matters - of their assistance in customs clearance delivery and their individual approach to each client. Dealing with TRUCK SITE was good and pleasant. I would like to thank TRUCK SITE and personally Tim Vusik for their excellent work!" Vladimir Antonov | LLC "NEW ENERGY COMPANY"
"It has been 3 months since the 18 yard rear loader we purchased from you has been in our fleet. The truck has performed flawlessly and functions as presented during the sales cycle from day one. I would like to thank you and your organization for the timely response to my requests during the sales process. You and your team provided prompt replies to my questions and the options I added we all done in a professional manner and at a fair price. The entire buying experience was top notch and the truck was a great value. I will be contacting you in the near future to purchase another truck to support our business." "Kudos to the staff of Truck Site - you guys are a great team and a pleasure to work with. When I purchased the big red Ford (that is now in my yard) I knew that I had chosen the right truck and the right place to buy it. I really appreciated the time and attention in helping me test drive, thoroughly cover everything about the vehicle, and go over details of the transaction. The excellent help really left me with a feeling of confidence. 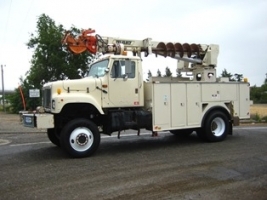 If you are looking for a truck or other special equipment, I would highly recommend Truck Site. The professional and helpful staff are tops. The coffee is good and the staff great at Truck Site! Thank you Alex, Michael, Christina, ...!" "Alex, the Tennant sweeper has done us well! Thanks for all your hard work, making our job easy to clean the shop - it looks great! Good job and thanks again for all your help!" "Roman, I’d like to take this opportunity to say thanks for all the hard work in making our 2 purchases a successful internet purchase. From the many communications to the hospitality at your facility when I arrived to view the equipment. Your staff was certainly accommodating and friendly. I was impressed with your honesty as you fulfilled all the advertised promises regarding the equipment. As it was received in working order it is now out on the job." 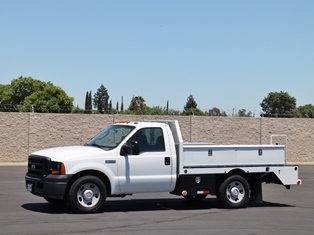 "Alex, at this point we are very pleased with our first purchase from Truck Site. We have only used the truck on two occasions at this point, but feel that the truck will be as good as you stated. We are really impressed with the phone calls, and the promptness of the delivery. Thank you so much for your follow up phone call. We feel that we will do business with you guys in the future and recommend you to our fellow sanitation friends. Hope that you have a Merry Christmas and a Happy New Year." "Roman, just a follow-up to you and your staff with a big Thank You for not giving up on my purchase of my first used Street Sweeper. 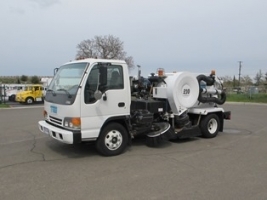 Truck Site fixed all the major problems associated with the 2007 Sterling/Schwarze M6000 LPG Street Sweeper. Thank God that we were just down the street. Your company went the extra mile to satisfy me as a new customer. 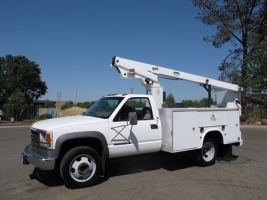 Whenever I have a need for any other used specialty trucks, you or Alex will be the first company I call. Thanks again!" "I recently bought a service truck from Alex, and I got to say he was very helpful and made the whole process very easy! After getting a check from my office in So Cal I got there to pick up the truck, Alex already had all the paper work ready to be signed which was very convenient due to the fact I had a very busy day. It took only about 5 minutes to sign the paperwork and I was on my way with my new service truck. Thank you Alex for all your help and making it so easy!" "The following words will not do this company, Truck Site, complete justice in how they treated me and Northwest College on the purchase of this MCI Bus. They were upfront on all issues they knew about and the history of this vehicle, most bus brokers will tell you nothing. Alex was most helpful in regards to all the information and photos I asked for. I initially flew out to Sacramento from Wyoming, inspected and drove this vehicle. All went really good except an oil leak that I asked about. They determined that transmission needed to come out and to strip down the back of the motor to repair. This was a huge effort on their part plus cost. They also repaired worn bearings, other engine leaks and rear differential leak as well. They offered to pay my room and board, free delivery to Wyoming or to pay my airfare to return after repairs. I took the airfare and returned to Sacramento a week later. I know of no vendor in my experience that would do what these guys did. I would give them a big TEN on the scale of 1-10 with 1 being low and ten being high. I would like to personally thank Alex, Roman and their techs on a great job on the repairs." "We, the Wilkes-Barre TWP Volunteer Fire Department, would like to thank you for all your help. We are very pleased with the truck. It runs very well just like you said it did. We would not hesitate to purchase another truck from you. You kept us informed of everything as you said you would. We are spreading your name around to other fire departments in Northeast Pennsylvania. Thank you"
"Alex, I just wanted to say thank your for all your help with the purchase of the F800. The whole process was very easy and we got a great new truck to add to our fleet. We will definitely look you up when we are looking for another vehicle." 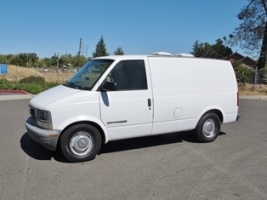 "Alex, I would like to thank you for assisting me in finding a vehicle for our company. You were very professional and a good listener, addressing each concern that I had. I will be back for more quality equipment." 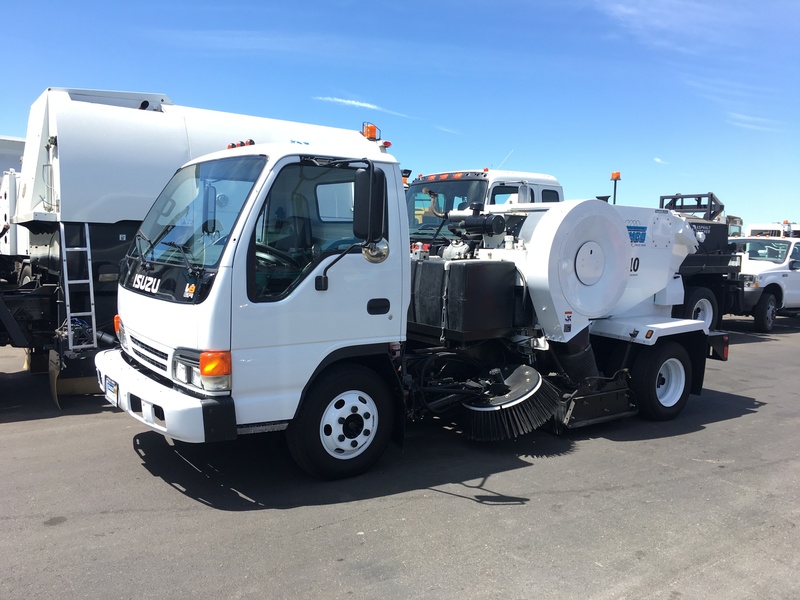 "I really appreciate your staff's time in demonstrating the Tennant sweeper and the ease of our subsequent purchase from Truck Site." "Just wanted to tell you how much I appreciate the way you handled my truck purchase. I was very worried about buying a truck I had not personally inspected and then sending almost my entire savings to purchase it. However, you were true to your word on everything you told me and the truck was just as you advertised it. Thanks again for doing even more than was necessary to get me a truck I can use!" "I am very pleased with the Truck Site team, many thanks to Alex for doing so many repairs on the truck - going above and beyond. We drove that truck from California all the way to Saskatoon, Canada, I have never dealt with such honest people. Our company will continue to do business with Truck Site, thanks again from the Local Asphalt Paving LTD Team!" 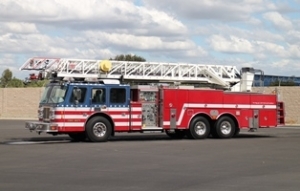 "First off, the staff of Hart County Fire Department would like to say THANK YOU for making the process of purchasing our ladder truck extremely easy and convenient! Roman and Alex answered every question we had and if they didn’t know the answer right away, they found an answer quickly. They were more than willing to do anything we asked and ensured the truck was exactly the way we wanted. Secondly, the mechanics went about and beyond to ensure that the truck was safe, sound, and solid before we began our 2500 plus mile journey from California back to Georgia. 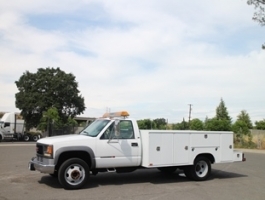 The staff of the maintenance shop fixed every issue and made the truck like new before our purchase was complete. They set up the appointment for new tires and got them put on without a hitch. Overall, all of the staff from TRUCK SITE went above and beyond to ensure our purchase was smooth, fast, and issue free. Roman, Alex and the rest of the staff were all extremely professional and friendly. Thank you again from myself, Assistant Chief Stephen Ayers, Jason Haley, Ryan Ray, Teddy Gibson and the rest of the members of Hart County Fire Department!" "After driving 6 hours to see a competitors truck and getting disappointed, I was very pleased to come in contact with Alex at Truck Site after seeing a Craigslist ad for one of his vehicles. His follow up and diligence in making a sale and answering my questions was the only reason my whole trip wasn't wasted. And now instead of one piece of equipment I have two. Pleasant experience and I will be back next time I need something. And, I will ask for Alex!" "There are two states in our great union that I am reluctant to do business in, due to the large influx of unscrupulous operators. They are: California and Florida. 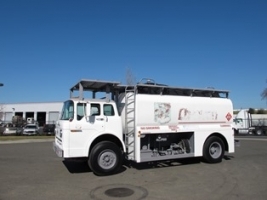 When my company declared the need for a large fuel truck to feed our thirsty jet, I saw your listing for a 4,000 gallon unit, and even though it met our needs, I was cautious. When I called and spoke with you, your description of the truck, with assurances of its integrity, lowered my guard - a little. When I advised you of the assurances I required, with GUARANTEES, you agreed cheerfully to all. Here is my assessment of Truck Site, and Mr. Alex Molitvenik: You had an old fuel truck for sale. I was looking for an old fuel truck, not wanting to spend $45,000 for a late model. I am aware that old trucks have problems. You sent the unit for inspection, and the inspector pronounced the tank, GOOD. It wasn't, but was NOT your fault. You tried. When I, the customer, was dissatisfied, you asked me what you can do to fix the situation. I told you, and you did it. Problem fixed. We now have an old fuel truck, that doesn't leak, and enables us to operate much more economically. I told Mr. Fulfer that by the time we used the truck for two full loads of fuel, the truck will have paid for itself, and provide CONTINUED saving. He is happy. I am happy. I am still cautious about doing business in California and Florida, but I believe that you do your company, AND your state proud. Your diligence and persistence in helping me resolve my problem to MY satisfaction is exemplary. I seriously doubt that we will be in the market for a fuel truck again, but I will advise my compatriots in the aviation industry to call you first if they are." 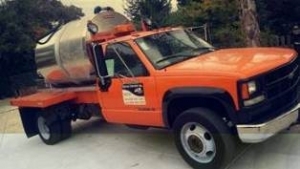 "We are a small sweeping company located outside of Boston and purchased a 2001 Johnston 4000 from the people at Truck Site a couple of years ago. As you might expect I was concerned buying a piece of equipment without being able to look at it, but they were great to deal with, honest and arranged shipping it across the country to Boston for me. The sweeper was as they presented, works great and we use it quite a bit doing both spring cleanups and construction and subdivision sweeping. These people are the real deal and I would buy another sweeper from them in a heartbeat without question." "Hi Roman, just wanted to drop a couple lines to tell you how happy our new ladder truck has made this small but growing community. It has made a huge difference towards the confidence in our fire and rescue, enhancing our fire ratings and it has bettered the services to our most valued asset, "The Bayou La Batre citizens". All the firefighters on the Bayou La Batre Fire Department, the Fire Administration along with our Mayor and the city council, the private citizens, our businesses and most of all our shipyards would like to thank you and Truck Site. This was a huge purchase for our city. I can honestly say we had many concerns and no experience in purchasing a fire truck in this manner. Roman, you and your company were patient and completely open with every aspect of the sale. Your integrity in this sale was very appreciated. You stood behind your word in every instance. If you could not answer the question you offered to contact the prior owner "Woodland Fire Department" to converse with us and actually demo the truck for us. 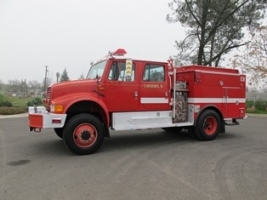 As I said, we are firefighters not buyers so, we relied on the integrity and trustworthiness of you and Truck Site. Well, for this community it has more than paid off. 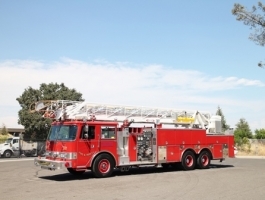 We have a fantastic ladder truck at an unbelievable price but, most of all we have a safer city. I hope other big and small cities give you the opportunity to show them the same hospitality and fairness you have displayed to the city of "Bayou La Batre". 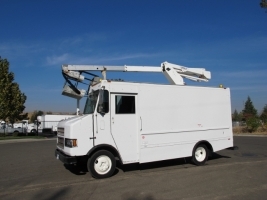 "Alex, the unit was in excellent shape and shipped to us in timely matter. We look forward to putting it to work, and will continue to look at Truck Site's website for future equipment needs." Brett Vallow | KIM CONSTRUCTION COMPANY, INC.
"Fastsigns in San Jose needed a reliable boom truck and after our initial conversation with Roman we felt it was worth the 100+ mile to Sacramento to buy from a reputable source. We couldn’t be happier with that decision! Truck Site thoroughly tested the truck and ultimately replaced many key components to prepare it for long-term use. Now we have a solid truck, at a reasonable price, and expect it to be a valuable asset to our business for years to come."